Call The Aerial Guys today on 01423 603051 for a no obligation estimate and to arrange an appointment. If you live in Harrogate and are looking for local TV or satellite installation and repair experts, then call The Aerial Guys. We are passionate about providing you with the best possible service. Contact us today on 01423 603051 to book an appointment. A strong signal provided to your television through an aerial or satellite is vital in ensuring that you receive high quality images when watching broadcasted television. As aerial installers in Harrogate, we possess the expertise required to ensure that the signals that you’re receiving are as strong as they can possibly be and capable of providing you with the picture quality you expect. We can provide you with a premium TV aerial installation in Harrogate in addition to aerial alignment in Harrogate, both of which are designed to vastly improve your television reception. Simply get in touch with us today to hire the TV aerial experts who will transform the way you watch television. 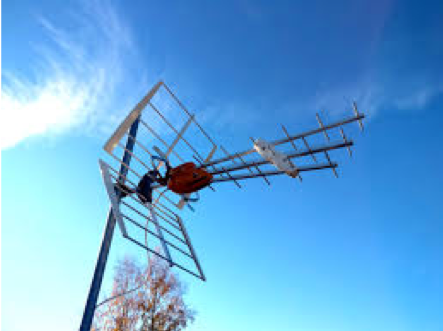 If your TV reception is pixelated or breaking up, The Aerial Guys can repair your TV aerial in no time. We offer a comprehensive TV aerial repair service for all types of TV aerials and digital aerials in Harrogate. The Aerial Guys’ extensive network of engineers operates throughout the North of England, which means we can nearly always promise an engineer is available to visit your Harrogate home, usually on the same day. After working on countless TV aerial repairs in Harrogate over the years, we really do know our business better than anyone else. And, unlike the bigger, more impersonal companies, The Aerial Guys guarantee to deliver a reliable local service that you can trust. 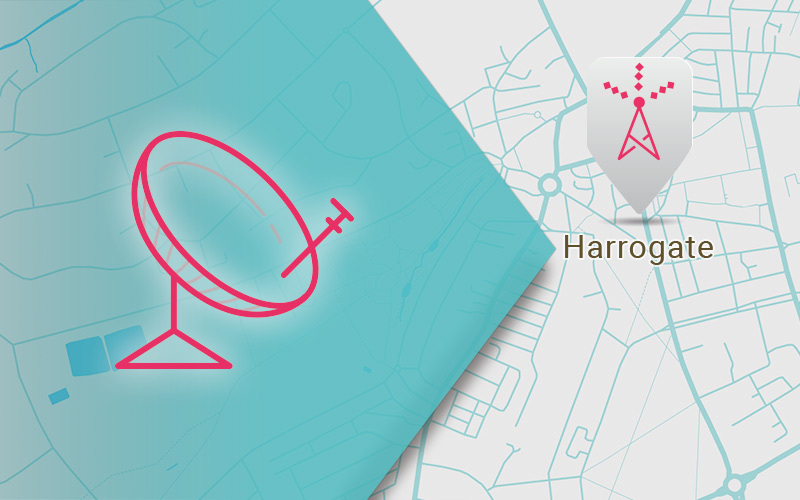 Our service offering includes the installation of a new digital aerial in Harrogate which is designed to provide access to a range of Freeview channels that are broadcasted across the UK. Whether you utilise a set-top box that you connect to your television or you possess a TV with a built in digital tuner, our aerials are all you require to access a wide variety of channels. We also provide you with the ability to enjoy a greater variety of channels through the installation of a new satellite dish which will provide access to Freesat services. Our engineers will be happy to discuss your options with you so contact us today to book your aerial engineer in Harrogate. The Aerial Guys offer wide-ranging satellite dish repairs in the Harrogate district for all types of satellite dishes. Our team of highly skilled professionals carry all the latest satellite equipment from all the major brands, including Sky and Freesat. At The Aerial Guys, we specialise in Sky dish repairs in Harrogate and have been delivering an exceptional satellite dish repair service to satisfied customers across the region for over 25 years. At The Aerial Guys, we do not only supply digital TV aerials in Harrogate, we also provide an array of other specialist aerial services in Harrogate and the surrounding areas. For more information on TV wall mounting and installations please see our helpful PDF – TV wall mounting explained. So, if you’re looking for TV aerials in Harrogate give The Aerial Guys a call today on 01423 603051 for a quick quote on your job! The Aerial Guys are capable of providing you with a variety of services which are designed to provide you with a solution that is perfect for your needs. From assistance in setting up your new television, providing local TV aerial repairs in Harrogate or providing you with Sky Multiscreen, our services are accessible and affordable. Fix your pixelated TV images by calling us today to discuss your options with our trained staff. We will then dispatch an engineer to your property at a time that is convenient to you who will evaluate your equipment and provide you with a free, no obligation quotation to carry out the services you require. Harold lost his wife about three years ago. So, the TV has become quite important to him as a companion. “I have the TV on all the time. It’s nice to have a bit of background noise and chatter to be honest. It’s too quiet when I turn it off,” Harold says. But Harold’s TV picture had started to flicker and before long it was almost impossible for him to use it. “There was no choice but to get it fixed really. I tried to live without the TV for a couple of days but it was so depressing. It was my son who called The Aerial Guys for me. The engineer was very good. I don’t live in the centre of Harrogate, but he managed to find my house no problem. And he managed to get the picture back. It was like magic. The cost was very reasonable too. I’ll definitely use The Aerial Guys again in the future. I might even get one of those satellite systems next year. We’ll see,” Harold says.